The Stealth 3 TIR is designed with 2 connected visor lights, one for the driver side that comes with the controls, the other for the passenger side. Both visors have 5 polycarbonate lenses and chambers each with 3 Generation IV 3 Watt LEDs with a total of 90 Watts (+/- 1800 Lumens. )* The Stealth 3 Bundle features 2 additional options: takedown lights for an additional $20, and the option to select one of 7 alternating colors for $50. There are 7 standard solid or split-color combinations to choose from. ON/OFF, MOVE RIGHT/MOVE LEFT, and MOVE LEFT & RIGHT buttons are easy to reach on the back of the driver visor. In addition, a small light panel ‘shows’ which of the 26 patterns is in use. ON/OFF and flash pattern switches are on the head of the power control that plugs into the cigarette lighter as well. 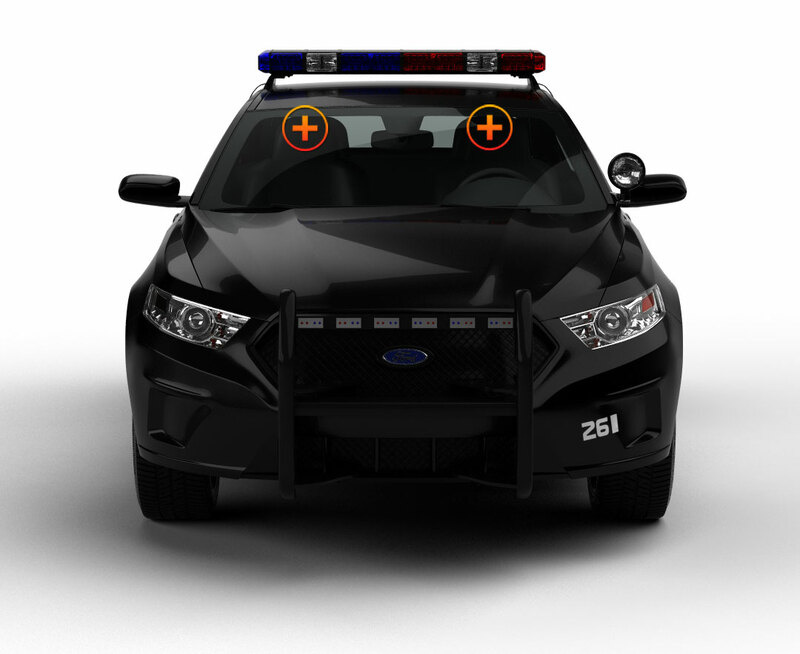 Attach the Stealth emergency light bar with the adjustable Velcro straps to the visors or to the back window with the included suction cup brackets. This light system is for INTERIOR USE ONLY. 2 Pairs of Undercover 3 Surface Mount lights (4 lights) are part of this bundle; they come with color-coded wires for easy connection to the existing light system. You choose the light color from 5 solid colors. 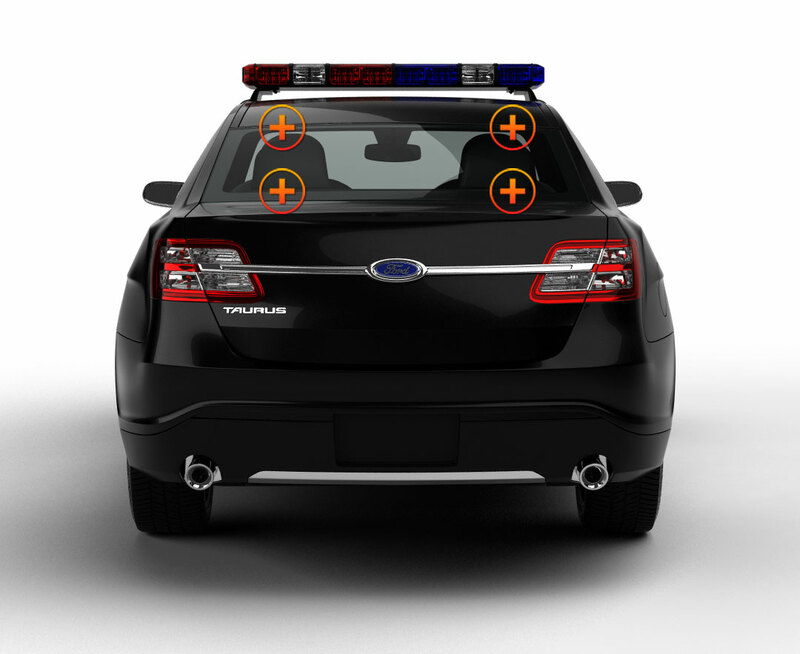 Because Undercovers are only 3” long, they blend well with manufacturer’s light setups and can be mounted on bumpers, grilles, side view mirrors, toolboxes, etc. The housings and lenses are made of polycarbonate material, so mount them low on running boards or high on racks; they are shatterproof, won’t fog up, and stay super bright. Each Undercover has 19 flash patterns. Almost every light we sell, including the Undercovers, has pattern memory. Undercovers are sealed with industrial grade epoxy, so remain waterproof and airtight, and keep out moisture.